We will have your train tickets booked and delivered to your hotel or appointed place in Shanghai at least one day before departure. On the first day of your tour, you will arrange transport to the train station by yourself or choose an optional pickup service to take bullet train to Hangzhou (G7505: 09:00-09:54 or similar train). 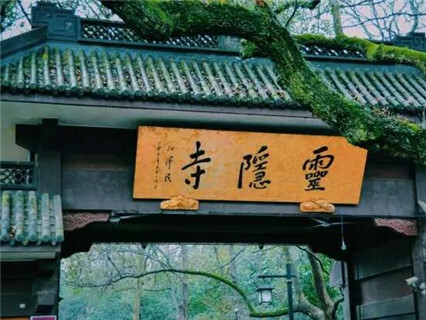 Upon arrival in Hangzhou, your guide and driver meet you at the train station and start today's tea culture tour. On this in-depth Longjing Tea cultural tour, you will explore the tea culture in China at Meijiawu Tea Plantation. Learn about the tea’s history, process of making tea and tea ceremony. Later visit China National Tea Museum and see exhibitions of diverse tea sets and tools, samples of more than 100 kinds of tea. 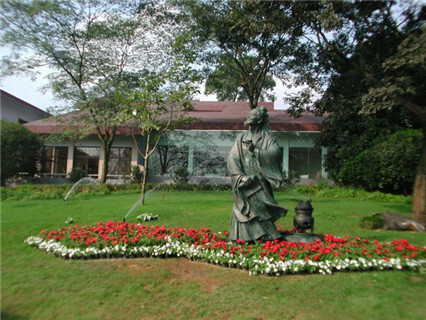 Being the only one museum themed with tea and tea culture in China mainland, China National Tea Museum is especially worth for a visit. There are countless interesting highlights waiting for your discovery, like variety of tea, tea ceremony, tea stories, tea plantations, etc. Watch a short tea ceremony in Chenghuang Pavilion located on top of the hill. You can have a bird's eye view of the city. The view of ‘Heavenly Wind over Wu Hill’ is one of ‘the Ten Scenes of West Lake’. Transfer you to the hotel after the tour. Pick you up from your hotel in the morning. 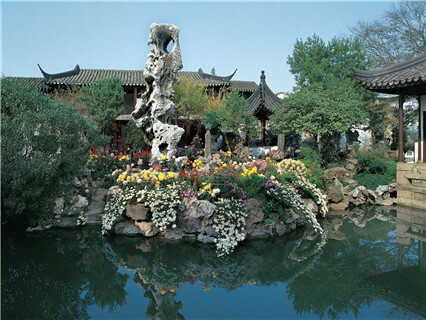 Hangzhou is famous for its natural beauty and historical heritages. Chinese saying that - "There is a paradise up in the heaven, and there are Suzhou and Hangzhou on the earth". First explore the famous West Lake. Like a brilliant pearl embedded in the beautiful and fertile shores of the East China Sea near the mouth of the Hangzhou Bay. 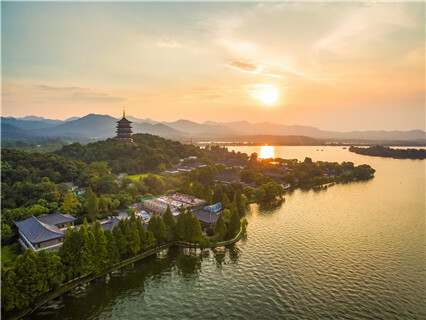 The beauty of the West Lake lies in its lingering charm that survives the change of seasons in a year and of hours in a day. Among its beautiful sights, the most famous sites are the Ten Sights in West Lake. Take your time to explore them and enjoy boating on the lake. Then visit Lingyin Temple. With many old trees, groves of bamboo, and quiet and beautiful surroundings, the Lingyin Temple is one of the most famous temples south of the Yangtze River. In the afternoon, transfer to the train station for bullet train (D3136 16:41-18:46 or a similar train) to Suzhou. Upon arrival, transfer to the local hotel. 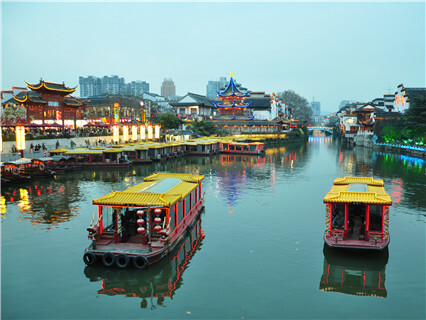 Suzhou is China's well-known "city of gardens", you may feel the charm of mountains, forest and springs without going out of the noisy surroundings of the town. 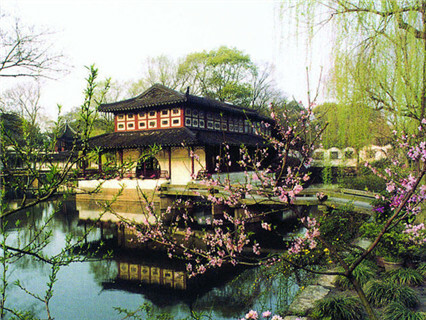 First you will visit the two most representative Chinese classical gardens - Lingering Garden and the Humble Administrator’s Garden. According to UNESCO, the gardens of Suzhou "represent the development of Chinese landscape garden design over more than two thousand years," and they are the "most refined form" of garden art. Then cruise on the Great Canal and enjoy the amazing scenery of both sides. Transfer back to the hotel after the tour. In the morning, transfer to train station for bullet train (D3022 09:46-11:27 or a similar train) to Nanjing. When you arrive at Nanjing, we will meet you at the train station and your Nanjing tour begins. Visit the Sun Yat-Sen Mausoleum to unfold the history of this honorable man in the Republic of China era. Sun Yat-sen Mausoleum was built to commemorate Dr. Sun Yat-sen (1866-1925), who is often referred to as "Father of China" and a great pioneer of the Chinese democratic revolution. 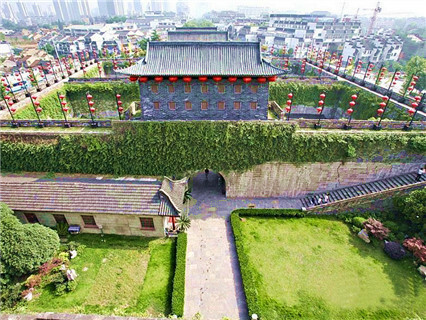 Then, visit Zhonghua Gate is China’s largest castle-style gate was built in 1366. Construction of the castle took twenty-one years, from 1366 to 1387. 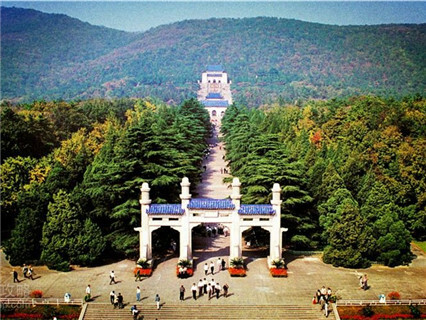 The gate, originally called the 'Gate of Gathering Treasure' carries a legend from the time of its creation in the early Ming Dynasty. The legend says there was a treasure bowl buried underground to keep the bridge firm. The Confucius Temple of Nanjing was built to worship Confucius, a great philosopher and an educator of ancient China. There you will explore the educational system and the etiquette of ancient China. Take a short cruise on Qinhuai River, the mother river of the city who witnessed its history and life. Pick up from hotel and transfer to the train station for bullet train (G7007 10:00-11:47 or a similar train) to Shanghai. The itinerary is flexible and can be adjusted according to your preference. There is no tour guide on the train. Keep your train tickets with you, because the tickets will be checked again when you exit the train station. If the above hotels are not available, we may change to other hotels of the same star rate. This tour doesn't include Shanghai local tours. Check 1 Day Shanghai Private Tour if you want a Shanghai tour. Train tickets mentioned in the itinerary. Twin share bases for hotel accommodation as listed in the itinerary. Tips for tour guide and driver.